There's more than one way to frost a cake. The How to Decorate Cakes and Desserts Kit will teach you all about it - from tinting icing, preparing decorating bags and assembling cakes to spatula painting, piping dots, stars and rosettes. 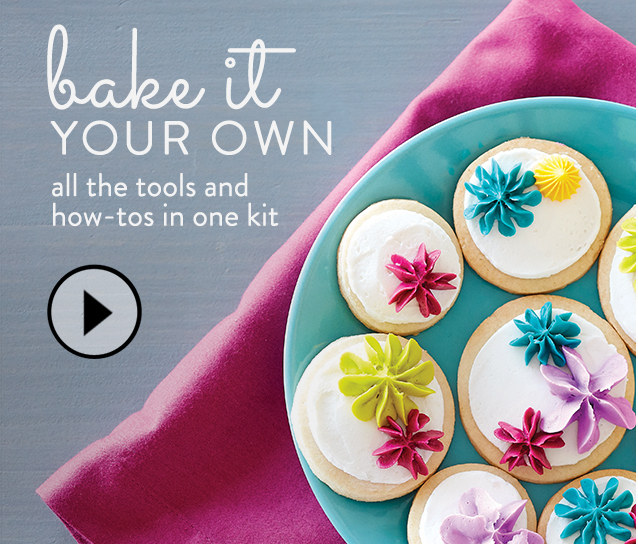 With the tools and piping tips included in the kit, you'll be decorating beautiful desserts in no time. 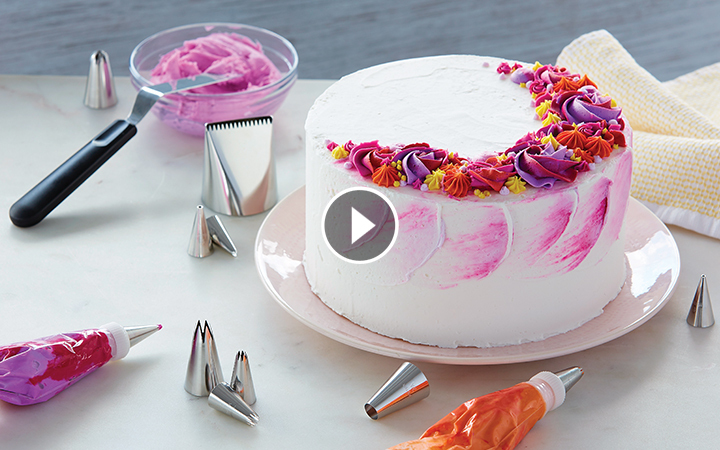 The go-to when it comes to cake decorating? Flowers. 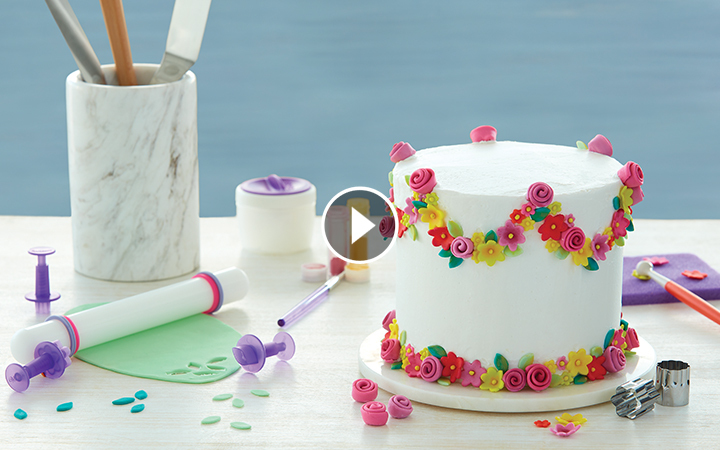 Learn easy piping techniques to create all kinds of blooms with the How to Pipe Simple Icing Flowers Kit. 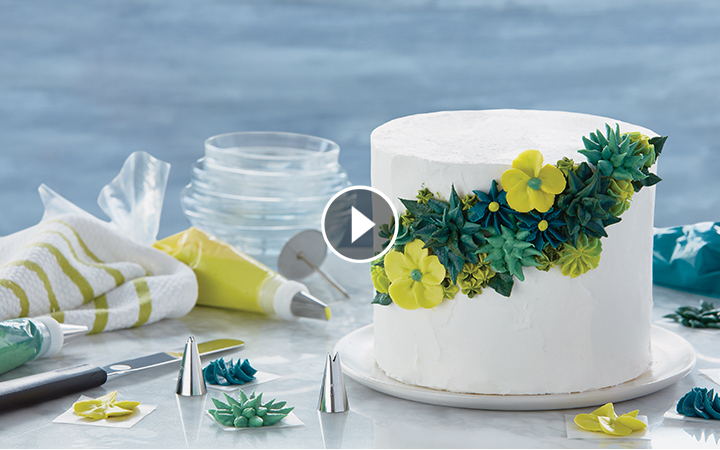 You'll be guided on how to create flowers out of buttercream and royal icing using the different piping tips that are included with your kit. You'll soon be on your way to decorating cakes, cookies and other desserts, impressing everyone along the way. You can make fun, colorful desserts with the How to Decorate with Fondant Shapes and Cut-Outs Kit. Follow the full-color instructions and use the included tools to roll, cut or shape fondant and get your cake creativity going.